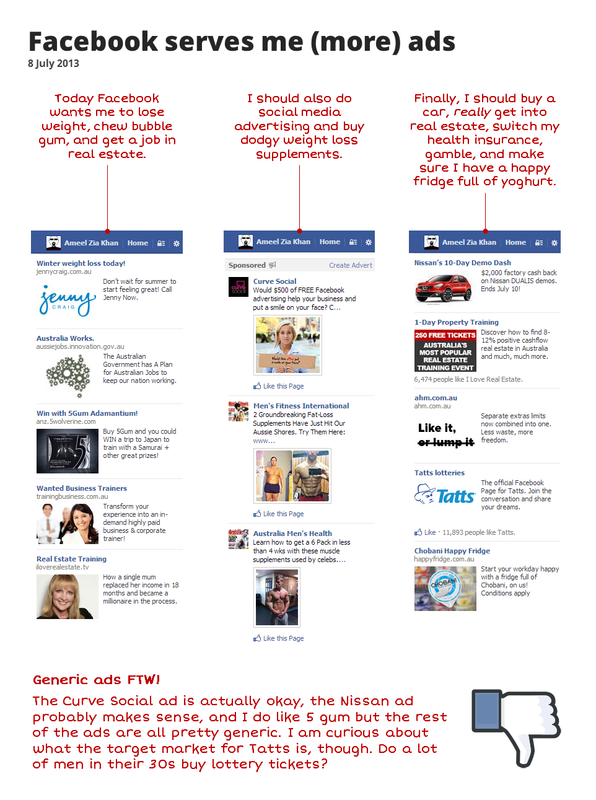 Time for another round of Facebook ad analysis. Though, frankly, there wasn't much analysis to do today because most of the ads I got served were very generic. Oh well.